The Papo toy line features beautifully crafted figurines of knights, pirates, castles and enchanted creatures. Papo toys come in a wide variety of colors, all hand painted and bursting with imagination. With Papo Knights toys, a world of medieval castles, brave knights, and fierce dragons comes to life. 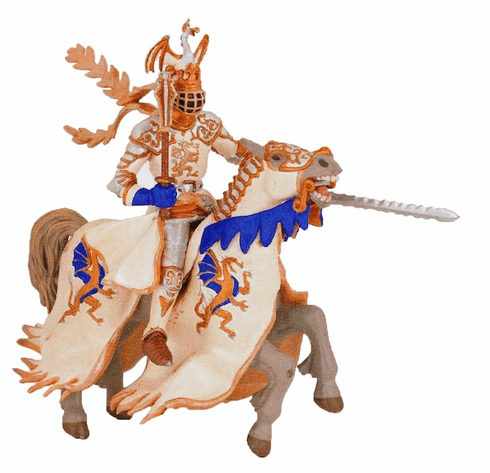 With Papo toys, your children will enjoy hours of imaginative play in wondrous worlds of conquest and battle, chivalry and horse play. Papo toys encourage your kids to use their imagination to create their own magical kingdom.